When I start a new batch of seedlings, I tend to plant a few extra. Or a lot extra. I like to allow for mishaps and disasters. Last fall, I planted a lot extra because we had more than our share of garden disasters last year. The only fall seedling disaster was the incident involving the kale seedlings and certain pair of very bad dogs. They wiped out all the kale and only the kale. What are the odds of that happening? So, we planted no kale in the garden or greenhouse. There was, however, a surplus of spinach and cabbage plants. We tucked the seedlings into every open spot in the greenhouse and still had a lot left over. So we tucked those into the mud at the east side of the greenhouse and called it an experiment. I like to experiment. Mwa ha ha. Sorry, I had too much chocolate this morning. I’m a little out of control. Anyway, we’re not counting on a crop from those plants. 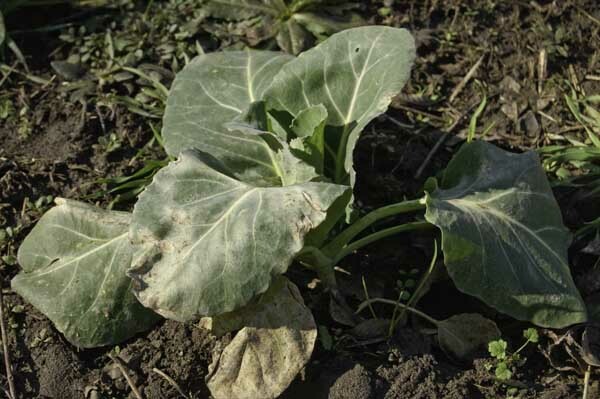 Spinach overwinters here if the winter’s mild and the plants have some protection. Cabbage is tough, too, but I’ve never tried to carry it through the winter before. 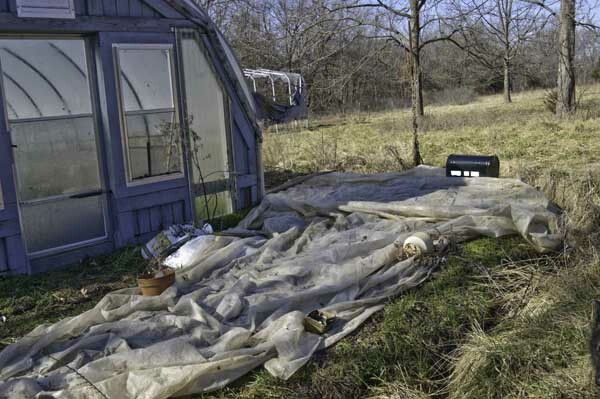 Still, when the first hard freeze threatened, I tucked the spun bond polyester row cover over the little cabbage plants and spinach both. The wind blew the cloth off, pulled it away from the pots we’d used to weight the edges. We straightened and recovered now and then and added more pots, but mostly we just let it all be. Time passed, warm days, cold days, and days so frigid it hurt to breathe. Rain fell, then sleet and snow. The snow melted and left a mud pit behind. The mud drained a bit, and I finally dared walk through that mess of a garden bed to check the plants. 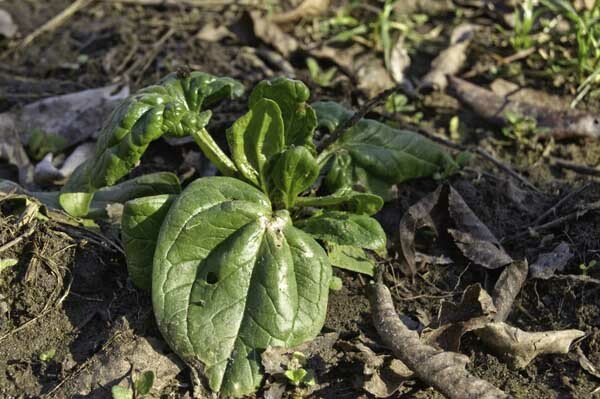 The spinach seems to be recovering nicely from the heavy snow, though some of the leaves broke under the weight of it. The cabbage seems happy, too. Nearly all the two dozen or so plants are putting forth new leaves and beginning to form heads. I’m surprised. I’m delighted. I’m not convinced I’ll be eating fresh garden cabbage in March. I’m hopeful though. Too bad about the kale. Makes a fine soup. March….March….I’m so ready for March! Hope it all survives this winter! I absolutely adore reading your posts, the style of writing is great.This post as usual was informative, I have had to bookmark your site and subscribe to your feed in feedmaker. Your website looks lovely. You have a great post here, really helpful. Very well written I will be bookmarking the website and subscribing to your feed so i can regularly read content of this quality.